I spent 8 hours in my kitchen last Wednesday. No joke. My work closed due to the snow so I had a full day to myself as my permanent roommate (… read that somewhere last week and thought it was hysterical) and his crew were out working. 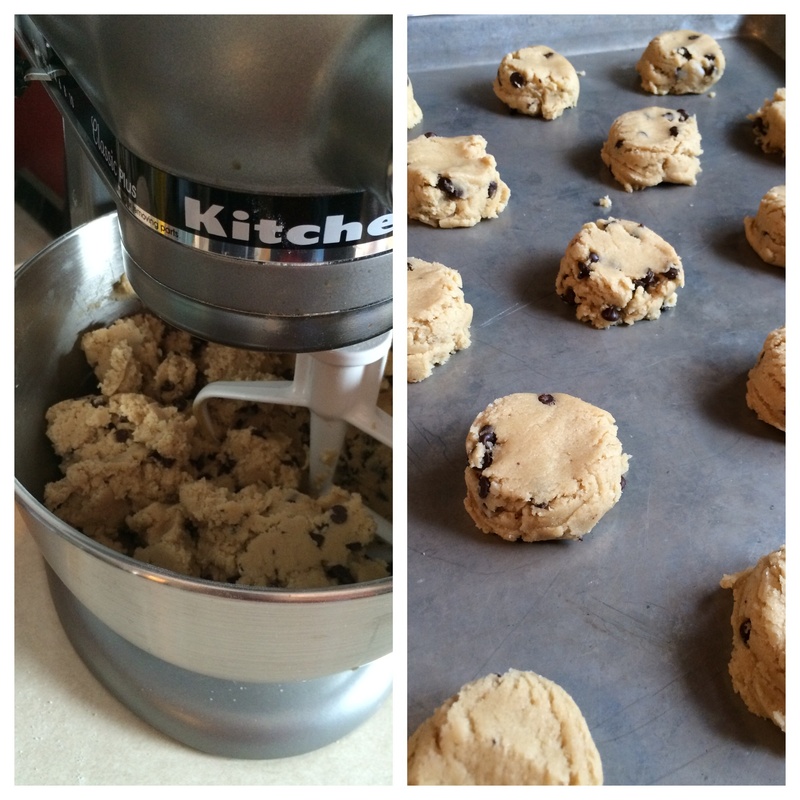 Snow days are a perfect time for me to bake a bunch of goodies! I made three loaves of banana bread, 4 batches of cookies and a 3 layer cake with buttercream frosting. All from scratch, folks. None of that boxed crap going on in this household. And for the record – ALL of that went home with Clint’s crew minus one mini loaf of bread and a bag of cookies that stayed with us and the layer cake that went to work. 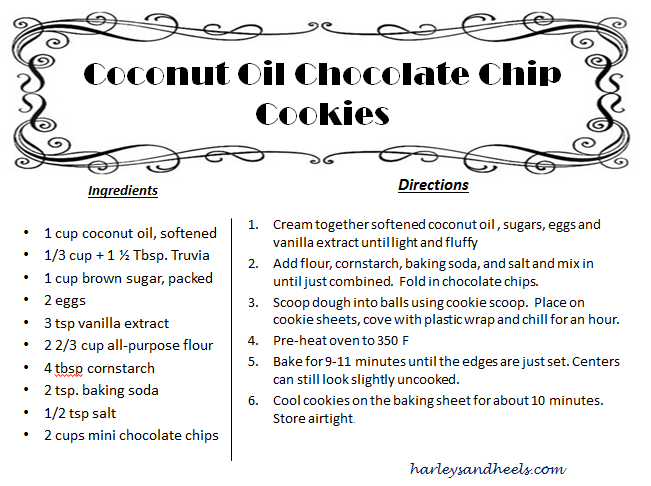 Coconut Oil replaced the butter and cooking oil and Truvia replaced most of the white sugar, leaving these cookies slightly better for you than your typical choco chip cookie. You could even use whole wheat flour for an extra nutrition boost! As for the baking time, when I say that you must pull these cookies out of the oven when the centers still look not quite done, I am serious. Take them out. Let them cool on the cookie sheet for a bit before transferring to a cooling rack. Oh, who am I kidding? I don’t own cooling racks. 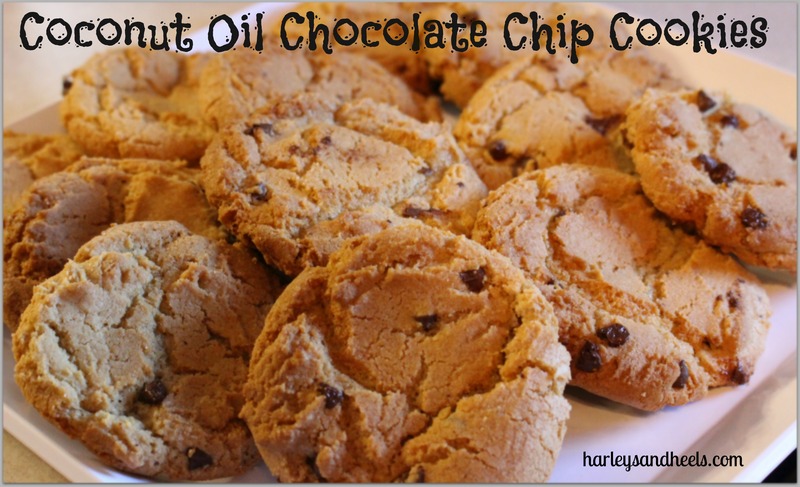 I just place the cookies on a sheet of foil or parchment paper and call it good. Let’s be serious. How many people really use a cooling rack? I am betting the percentage is pretty low. Don’t lie to me. You don’t use one either. 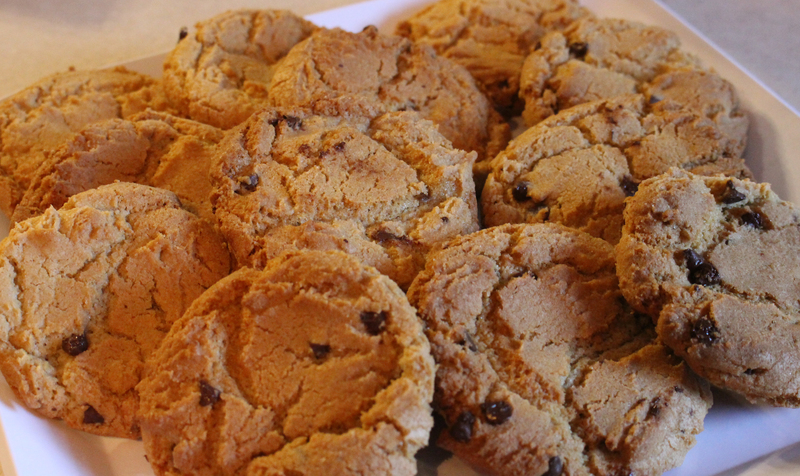 I suppose, if you are all about the crunchy cookie, leave them in the oven a bit longer. 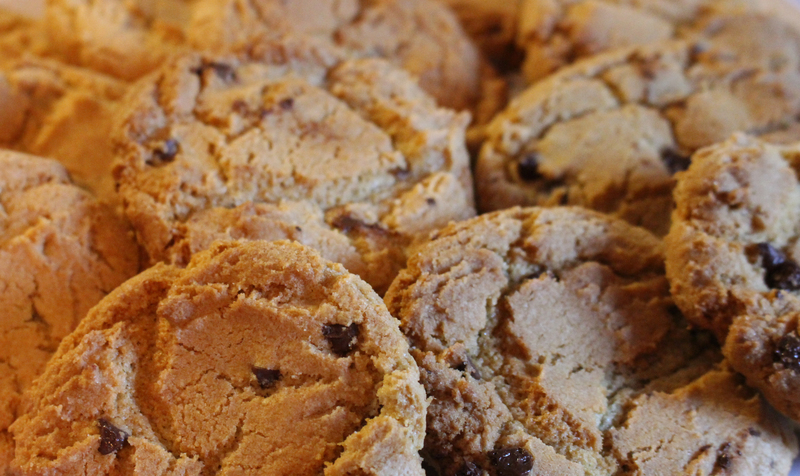 But, if you like a slightly crunchy cookie that still has a little melt in your mouth softness to it, then yank them out of the ol oven early.